Waxes, oils, shatters, the list goes on. Wax, also referred to as "dabs," have gained an increased profile over the last decade or so. They're powerful. They're popular. No wonder that intrepid minds soon discovered they make a great pairing with a quality vaporizer. Unfortunately, you can't just pluck any vape off the shelf and expect it to suit your needs—you have to make sure you've picked up the right piece of tech. If you want the best vape pen for wax, you'll need something powerful, like the vape wax pen for sure. 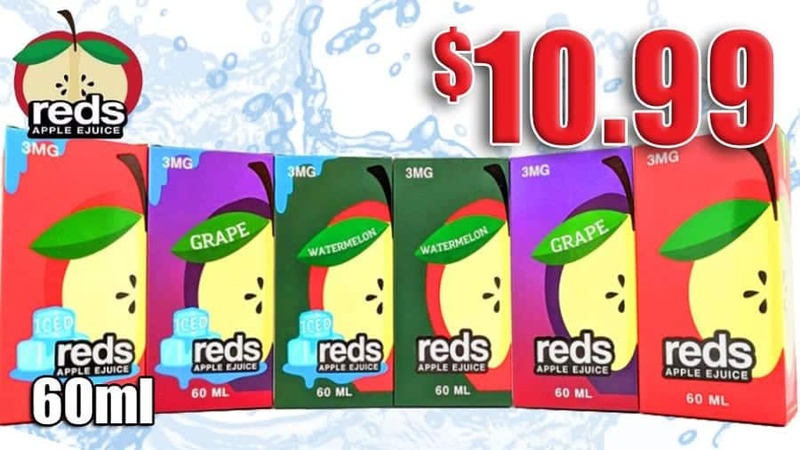 You'll also want to find a vape that keeps your flavor pure, has great battery life, and is sturdily constructed. ​So, Which ​is the Best Wax Pen? That might depend partly on your individual tastes, but there are a few quantifiable reviews and aspects of each device I was able to nail down to help you make an educated decision. The Source Slim has long been on the short list for best wax vape pen for users who value discretion. The Slim 3 was vaunted for its portable size and ability to work with a range of atomizer. The Slim 4 has upped the game in a new way. Source has propped the Slim 4 up as one of the most compact pens on the market. Seeing as the Slim 4 measures in at 4.7" long and weighs 3.6 ounces, their claim is well founded. Thankfully, Source hasn't sacrificed power for portability, the Slim 4 still packs a punch and has some additional features that most users will find quite agreeable. Included with the Slim 4 are two atomizers—a quartz double coil and a coil-less Source Nail. You aren't limited to those atomizers, though. The Slim 4 is compatible with just about any Source Nail or Orb 4 series model, be they quartz, titanium, or ceramic. Coiled or coil-less, it doesn't matter. The variable heat settings allow you to burn your wax vape at the level you desire. The Slim 4 also includes extras like a cleaning cloth, exclusive case, and a unique dabbing tool, allowing it to double as one of the best dab pens around too. A solid choice for beginners and experienced vapers alike. The best dab pens? It's certainly in the running, as Source touts their team up with Flosstradamus to create the ORB XL, proudly proclaim that it is the "strongest vape pen ever." Big words. Could it all just be marketing hype? In this case, no. The ORB XL has plenty going for it to back up Source's bold claims about their standout device. For starters, the atomizers have been upgraded to handle up to 1 gram of your materials. This is twice the capacity of Source ORB 4 standard atomizers. The inclusion of titanium in the coil design grants superior taste when vaping. 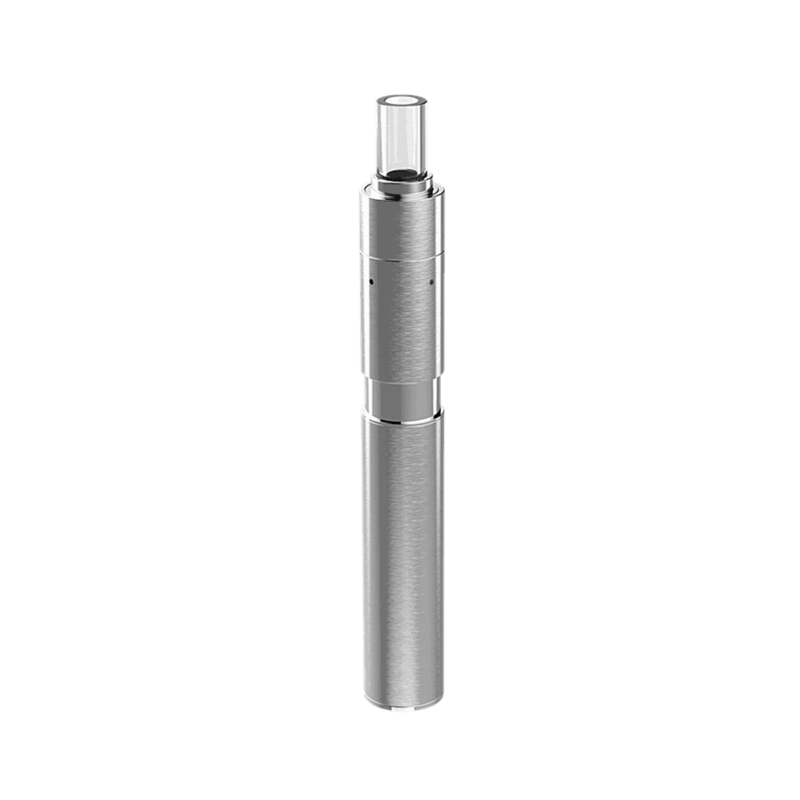 Users also have the option of utilizing double or triple coil atomizers at their leisure. The "Flosstradamus" model, an amped up version of the standard ORB XL, includes 30-watt battery capable of putting out twice the power of many other Source models. It also enables the use of sub-ohm attachments and accessories (again, for increased output). Users can adjust their power levels to fine-tune their experience, and even adjust their airflow using the 5-variable setting system. This model works with a wide range of other Source atomizers and provides power and control fit for the top-tier vape aficionado—a definite top pick for best wax vaporizer pen. If you've seen KandyPens "Galaxy" or "Donuts" models, the "Gravity" will look more than a bit familiar. This model has taken inspiration from both, and the innovations are plain to see. Like many of the best vaporizers for wax, the Gravity comes standard with two different atomizers—one coiled, and one coil-less. The coil-less atomizer, a wickless ceramic, makes use of so-called "SloBurn" technology to extend the life of your wax vape pen. The quartz coiled atomizer packs a more powerful punch and is suitable for vapers who like to take massive power hits while kicking back and relaxing. KandyPens included additional heat settings with the Gravity, bringing the total to four (300°, 350°, 390°, 430°). Users can switch between power levels for a more customized experience. Keep it low for lighter vapor production and increased battery life, or go high-end to maximize output (at the expense of some juice). The Gravity includes variable airflow settings, a stash of wipes, and a sleek carrying case. On that last note, even if you don't agree that the Gravity is the best dab pens, you might at least concede that it's one of the best looking. The attractive all-black finish and compact design will, at the minimum, make for a great conversation starter. 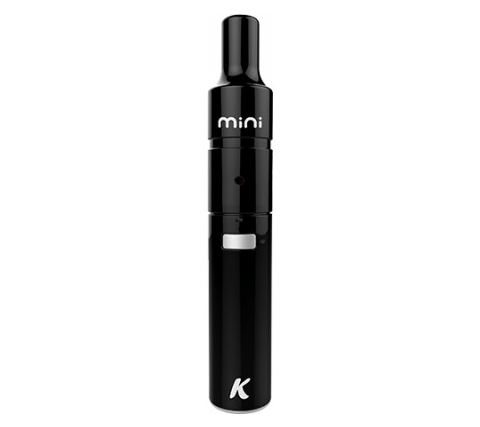 For those that want the KandyPens flair in a smaller package, the KandyPens Mini might be the best wax pen that they could get. 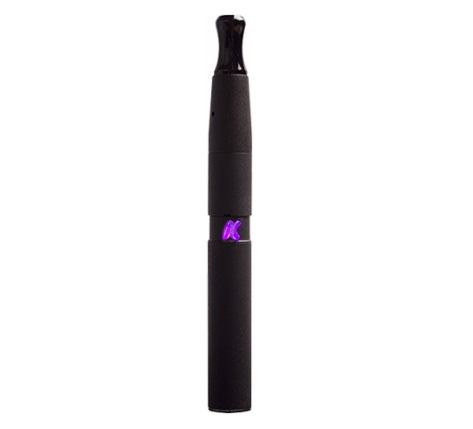 If you're appearance-focused, you'll be glad to know that KandyPens sells this model in six color choices: black, white, lilac, red, pink, and turquoise. If you're more focused on function than form, there's still plenty the Mini has to offer. Performance on the Mini is top notch. It has great airflow, courtesy of the elevated "airFloe" system. Hits are flavorful and increased by the controlled manner in which the Mini heats up dabs. The no-combustion functionality means no "burnt" tasting draws from the device, and the integration of SloBurn technology, coupled with the ample battery, allow users to vape for extended periods without issue. The Mini has three temperature control settings: (350°, 390°, 430° ). You can use the atomizer with other box mods as well if you so choose. My personal favorite is eLeaf's "iStick" line, but you can go with anything that has good wattage control to get your settings dialed in the way you want. The original Hypnos was powerful, compact, and generally well regarded among enthusiasts. The Hypnos Zero has improved upon that original design to create another strong contender for best wax vaporizer. The aesthetics of this device are amazing. It's small, it's slim, and the stainless steel finish is smooth to the touch. Despite the minuscule size (can easily fit in the palm of your hand), it's still sturdy and easy to operate. Looks alone don't make a great vape pen, though, so what else does the Hypnos Zero bring to the table? How about a completely coil-less ceramic atomizer? It preserves flavor to the utmost degree by heating up a plate which then vaporizes your dab pen. You'll have less waste and an easy time with cleanup thanks to this innovative design. You can control your heat settings with one of 4 presets: low, mid, mid-high, and high powered. The battery, a 510-threaded 650mAH Lithium-Ion, lasts a solid few hours and is easily recharged via USB. The capacity isn't the highest on this model, but for those that want a discreet solution, this could be perfect for stealth needs. I've long held that Puffco offers great-looking products with both high-tier functionality and awesome value. 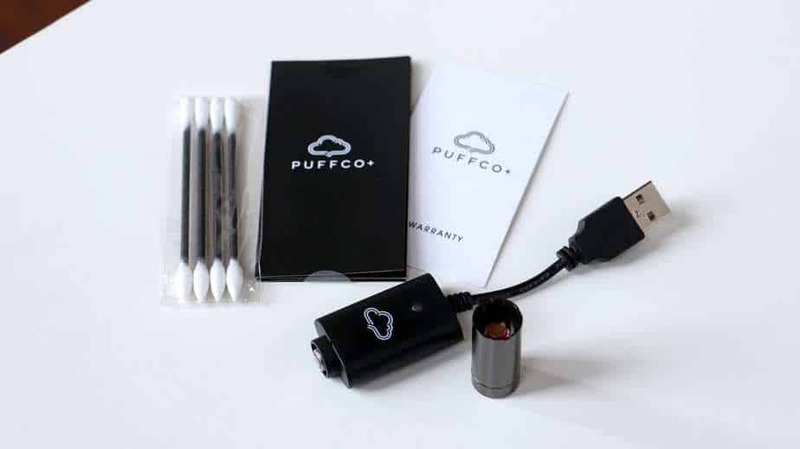 The Puffco Plus continues that tradition by staying up-to-date on the latest vape pen trends and incorporating A+ vaping power with an attractive body style. You might remember the Puffco Pro, an older model that, despite a few imperfections, brought a lot to the table. The Puffco Plus runs circles around the Pro, simplifying the design while maintaining the core features that made the Pro a worthwhile option. They've done away with coils and other messy components, including what Puffco calls the "dart" hidden within the mouthpiece. You can use the "dart" as a dabber ​and minimize mess all at once. As far as interfacing with the Plus goes, they've kept things easy. Turn on the device, and use the button to toggle your temperature and battery settings. You can switch between low, medium, and high (easy to remember, no?) and your current setting is indicated by the LED light on the front of the device. The one downside is that the Plus runs a bit hot at times, but all told, it's small, good-looking, powerful, and a great addition to any vaper's arsenal. The video below gives you an updated review of the amazing Puffco Plus. Been looking for a device with superior power? 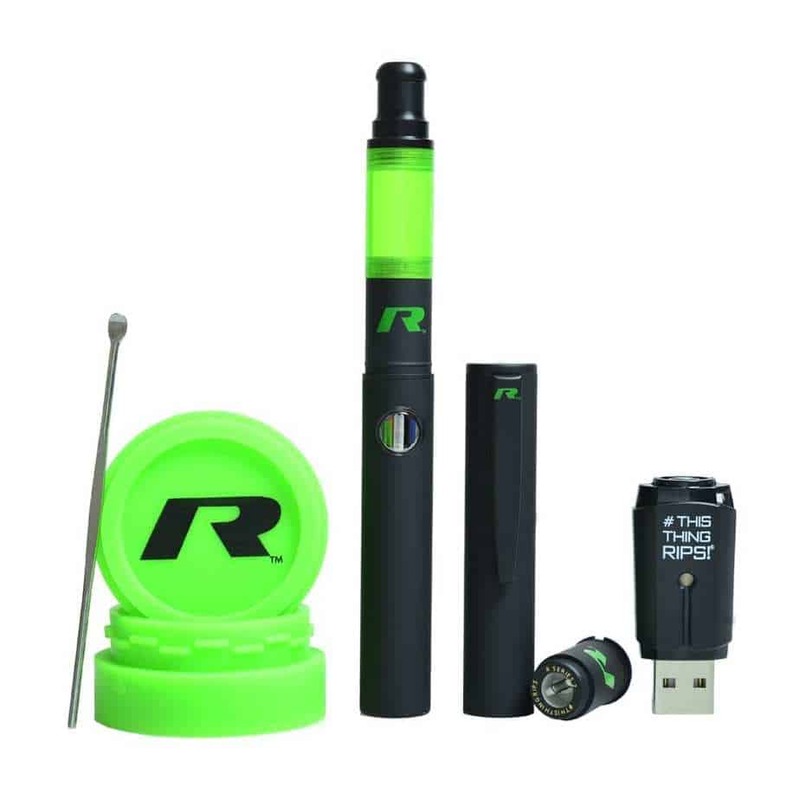 The Stok R, produced by #THISTHINGRIPS might be the one for you. As the company namesake says, the device certainly does "rip," offering bigger hits courtesy of the innovative hardware setup, 6500mAh battery, and improved airflow system. Power is the main selling point for this model, but it has a few other perks that will give many a reason to take a close look. The design is such that it looks like an actual pen. Remove the top cap, and the vape is then exposed for you to use. Discretion at its finest. Using the Stok R is a breeze (quick load via small ceramic rod), you can break it apart in no time for cleaning, and the low-temperature coil helps keep flavor profiles authentic. A little bummed they went with a coil-only design for this model, but it delivers for those who want to blow big clouds. 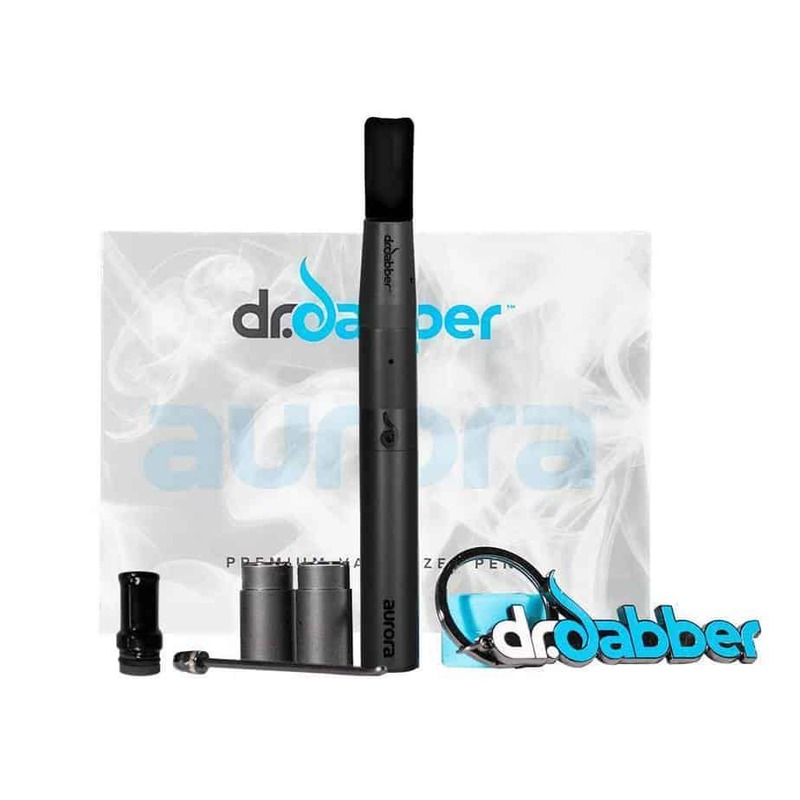 The Aurora by Dr. Dabber represents a great jumping on point for those looking to get into wax vaporizers. Simple to use, easy to take apart, and more than enough juice for users to get whatever kind of hits they want. It incorporates low heat technology to keep flavors pure and long lasting. It has a variable output setting for precise control over your voltage. Just a few button presses, and you can switch between the Aurora's various modes. Perhaps the most interesting feature about the Aurora is the SnapTech magnetic design. The device's components are held together, as you may have guessed, using magnets, allowing users to take the Aurora apart and put it back together in no time. Combined with its good looks and other high-end features, this is probably the best wax pen that beginners are going to find. Getting a celebrity to put their name on your product is a great way to move some units. 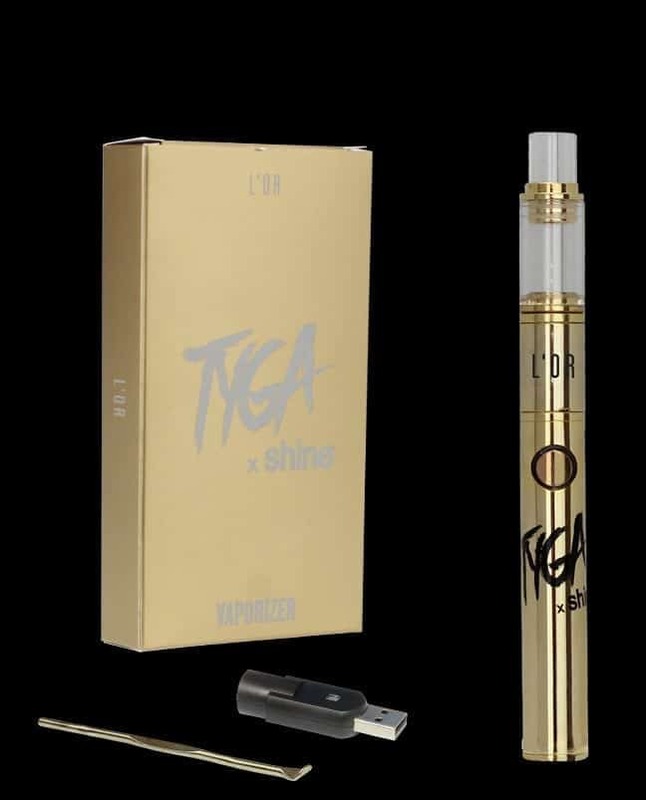 In Atmos' case, they've teamed with Tyga for the L'OR, a sleek pen designed especially for wax vape pen. If you're not the type who's easily moved by celebrity endorsements, though, don't worry, the LO'R holds up on its features alone. You can make use of either single or double coils for heating, and enjoy faithful flavor along with good draws from the device. It's efficient, leaving little behind in the way of waste. Furthermore, the LO'R has a magnetic snap design that makes assembly and cleaning, well, a snap. Another Tyga collaboration, but in a more compact package than the L'OR. You may not be swayed by the flashing metallic plating, but the device's ability to quickly and evenly heat wax should be more than enough to draw your eye. Airflow seems to be optimized on the Kiln. You can easily control your temperature settings, and, during operation, the device draws smoothly and without issue, provided you don't overload it. As one of the smallest pens on the market, this is a solid option if you're looking for portability above all else. Take your pick from any of these top choices, and you're going to end up with a quality pen with ample capability for handling ​your vape. Some are geared for stealth, others for power, but all are straightforward in their design and operation. My advice? Don't skimp on features like variable temperature settings if you're looking for control, and keep capacity, size, and atomizer style in mind when making your choice. Even though it seems like the coil-less designs are making a big push, there are still those that enjoy the coil setup. Still confused? 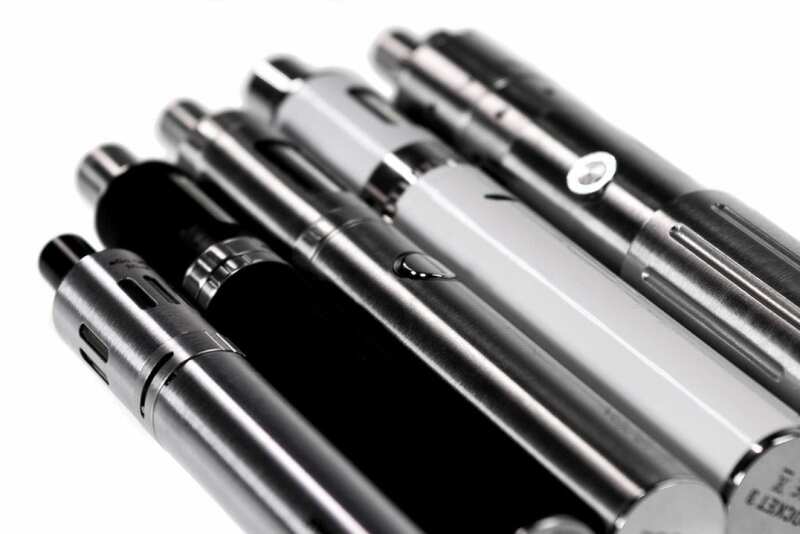 Visit this page to discover more top-quality and customizable vape pens that offer fantastic long-term value. Whatever your decision, though, have fun, and happy vaping!